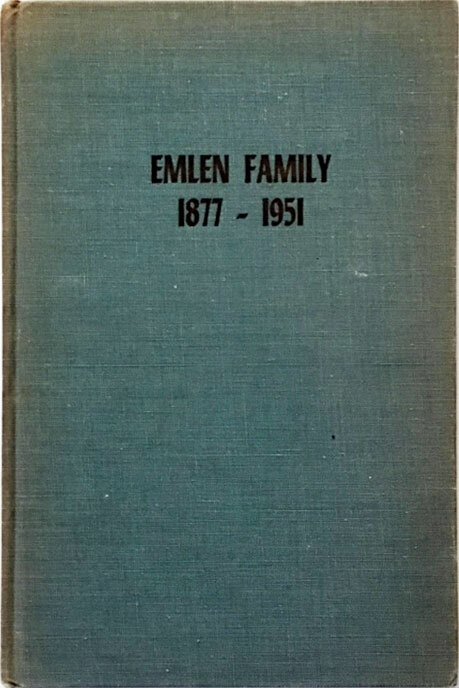 This book, probably self-published in 1951, is about Samuel Emlen (1829-1920), Sarah Williams (1830-1913) and their descendants. 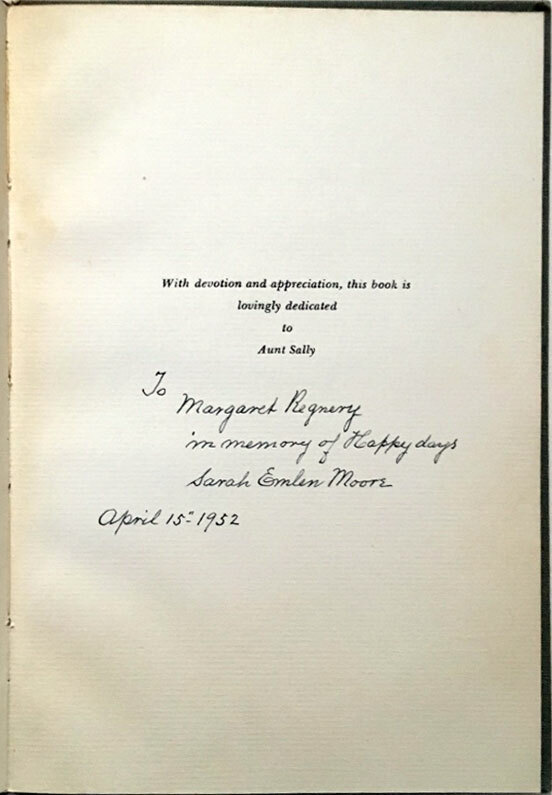 I believe it was written by their daughter Sarah Emlen Moore (1861-1965), as she wrote the inscription on the dedication page (see image above) of my copy of the book. Although she refers to herself in the third person, "Sarah" or "Aunt Sally", so perhaps it was written by another member or members of the family. The first two thirds of the book are a bit of family history with stories, remembrances and poems of Christmas and New Years parties at the stone house on Coulter Street in Germanton. The remaining few pages have genealogy information: names and birth, death & marriage dates of Samuel & Sarah Emlen and their descendants. Sarah gave this copy of the book to Margaret Regnery, who might have been her great grandniece if I have the correct person. Margaret would have been about 5 years old at the time. I bought the book on eBay in 2004.